The hotel is located in the center of the town, near the historical old town, and the train and bus stations. 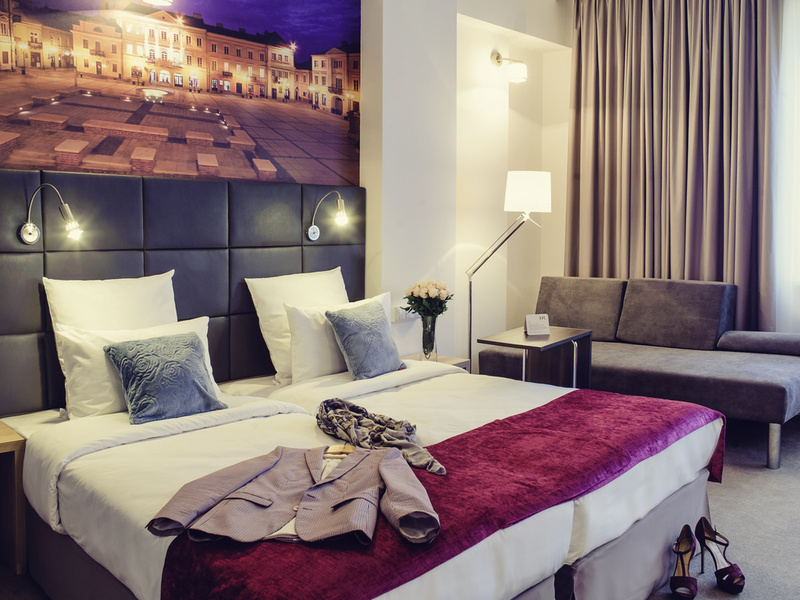 Its prime location in central Poland makes it perfect for both business and leisure trips. Enjoy functional conference rooms, comfortable suitesa nd an elegant restaurant.It is a perfect spot to relax your body and mind - an ideal place for guests who value comfort and high quality. Try our soothing beer baths. We have 63 smart, spacious and comfortable rooms available that can accommodate 124 people. Experience an overnight stay in our DIAMOND APARTMENT - a three-room studio suite measuring almost 1076 sq. ft. (100 m²), with a winter garden featuring a glass wall overlooking the city. The suite can also be booked for an extended stay. The Pepper & Salt restaurant is located on the top floor of the hotel. Soak up the atmosphere created by the sophisticated decor and glass walls with a panoramic view of the city. The Lounge Bar, which can be found next to the hotel's reception desk, offers a great selection of hot and cold drinks (alcoholic and non-alcoholic). Take advantage of the free WIFI access at the Lounge Bar.